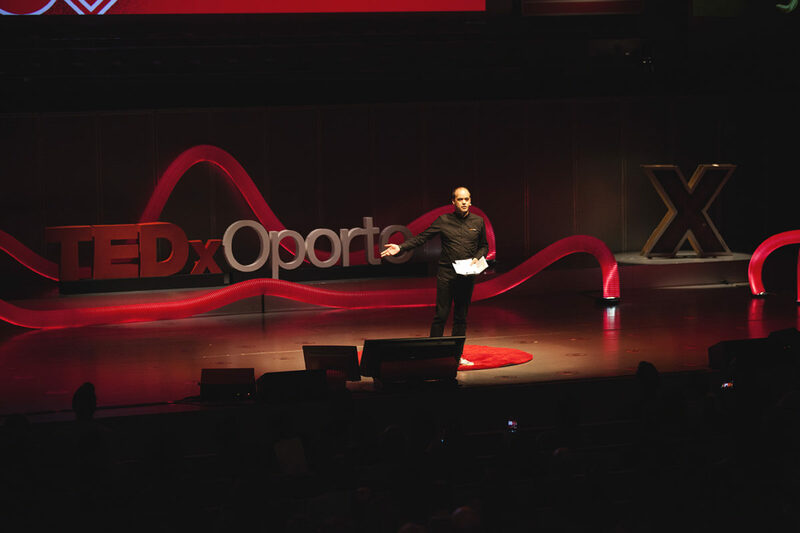 Norberto Amaral is the organizer of TEDxPorto, located in Portugal and formerly known as TEDxOporto. It’s a long story. Norberto tells us about how they were not able to get into the venue until midnight the night before the event started, on March 31, 2017. The production crew worked all night and the opened for 1,100 people the next morning on April 1st. No fooling. They do something that we’ve not heard in all the shows before, which is to have a stand-up comedian do a seven-minute wrap up at the end of each session. This reminds me of Tom Reilly’s end-of-TED comedic routines back in the early days of TED. Sounds like a lot of fun. Norberto is one of those organizers that loves also being the host of the event. He says, “I put people on their toes and keep them uncomfortable – to make them rethink.” He says he wants to lift the veil on the talk, and spark curiosity. He’ll frequently come on stage to ask one question to get more information from the speaker. Something like this really puts a nice bookend on the talk. He’s done lots of TEDx events and went to many others. In March of this year they organized a TEDx Organizers workshop for the first time. Having a comedian do a seven-minute wrap off at the end of each of the four sessions. Also, there are no inspirational, motivational talks. He credits watching Chris Anderson’s TEDGlobal2013 session about what makes a compelling TED talk. How you can have the same setting, the same venue from year to year and yet everything else can feel completely different. He says he has several, and the biggest one is himself. He is aware of having to overcome the limitations of leadership and being a host. Have fun. Train for a marathon. They announce their next year’s event during the 3rd session of the current year’s show.